Nikkei Human Resources, Inc. offers job placement information services for newly graduates and mid-career employment as a subsidiary of Nikkei Inc. We also delivercareer education, and publish books related to employment. information on human resource including job placement for college students, career education, and career design. Japan Third Party Co., Ltd.
Job Location: WORK IN JAPAN, TOKYO and OSAKA ,NAGOYA ,etc. Visit the website above and fill out all the information. If you will be selected as candidate for the job interviews, you will be invited to come to Japan for free. You will stay in Japan for a week to have job interviews and one-day sightseeing! Wide type of job opportunity. Please register for the program at the following website.You need to complete Step1 and Step2. The deadline is June 10th. 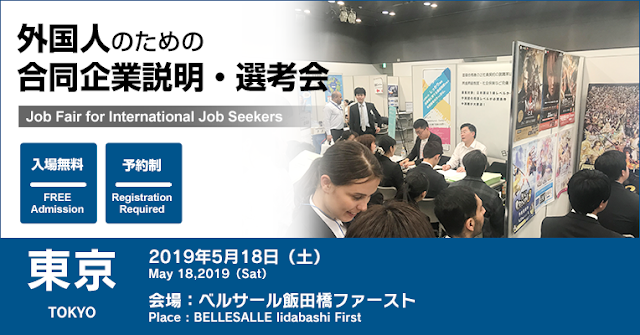 you are reading information Lowongan job fair NIKKEI HR, Inc. interview di tokyo jepang which contains about lowongan kerja magang ke jepang resmi depnaker nonimm terbaru 2019 >> Kenshusei.com Magang Jepang : please share this article if it is useful.